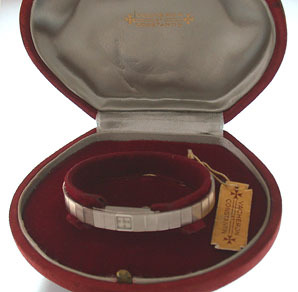 Fine and lovely Vacheron & constantin 18K white gold duoplan backwind vintage ladies wrist watch with original box circa 1966. 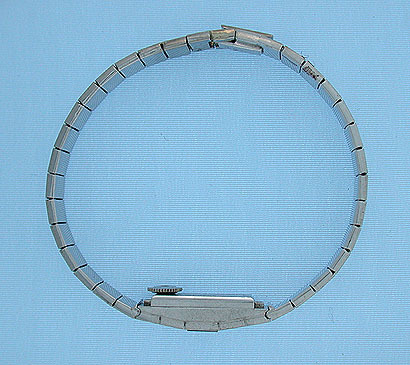 Textured bracelet 6.7 inches long with integrated watch. Caliber 1005 17 jewel movement. With original box and hang tag.